I absolutely love using microfiber towels on my car. Little did I know they work equally well on firearms. Microfiber gun cleaning cloths pickup and hold dirt and dust better than any other fabric. They are also very soft and absorbent. I started using microfiber towels/cloths for gun cleaning and I really like The Rag Company. 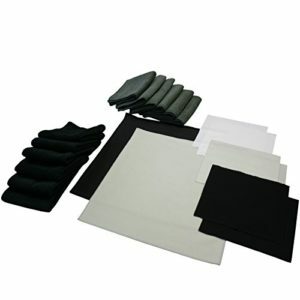 They make an excellent gun cleaning cloth plus offer a gun cleaning towel kit which includes 20 cloths of varying sizes and colors. Here is what you get….